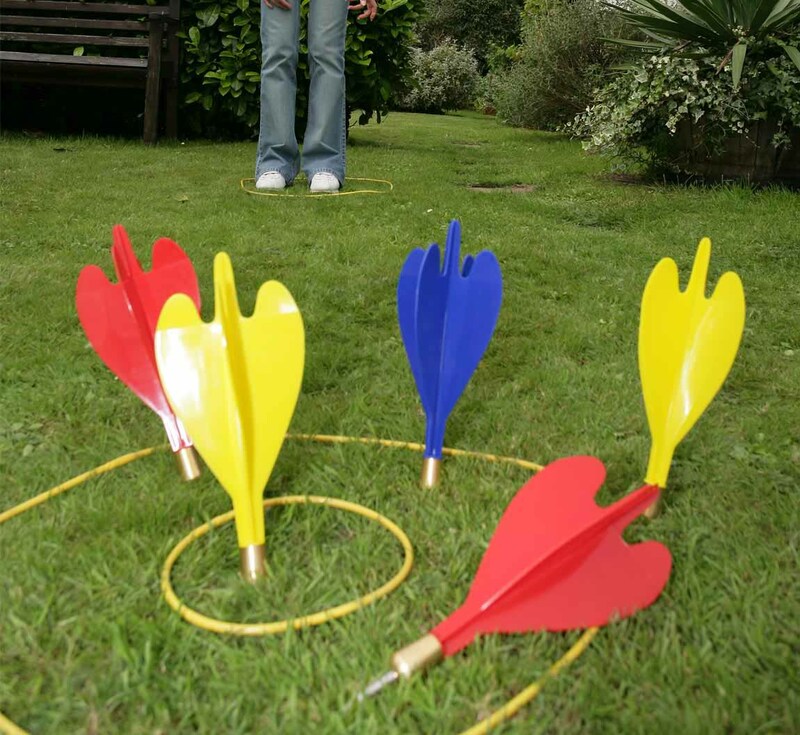 Take the game of darts outside into the garden and play on a much bigger scale. 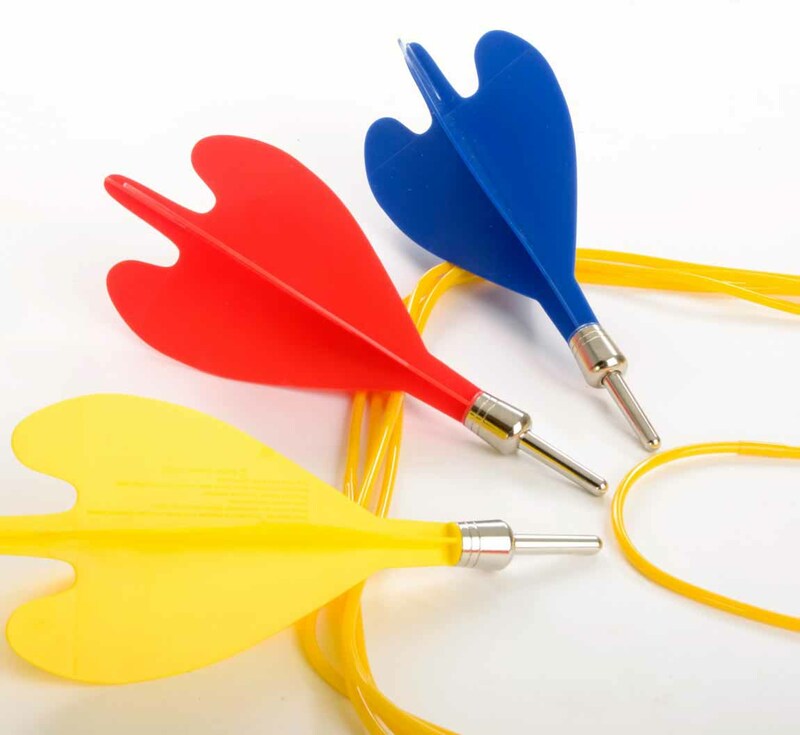 Score points by landing your darts inside the target rings with higher points if you hit the bull's-eye. 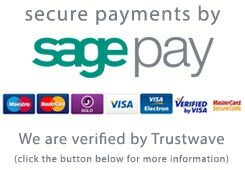 You need accuracy and a steady hand to win. 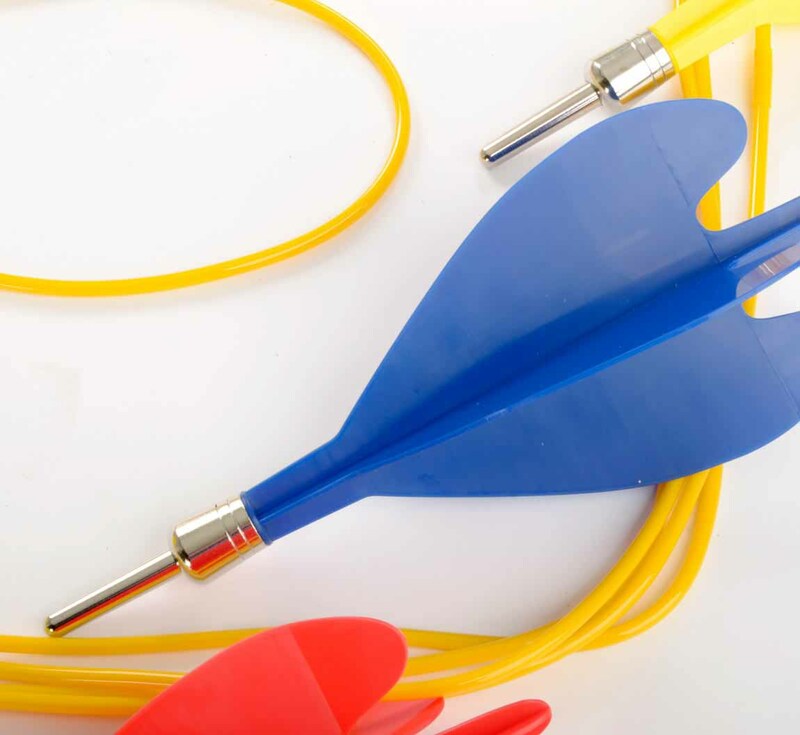 Our 3 player lawn darts set includes 6 darts - 2 of each colour, a throwing ring and 4 target rings. The darts are designed for underarm throwing. 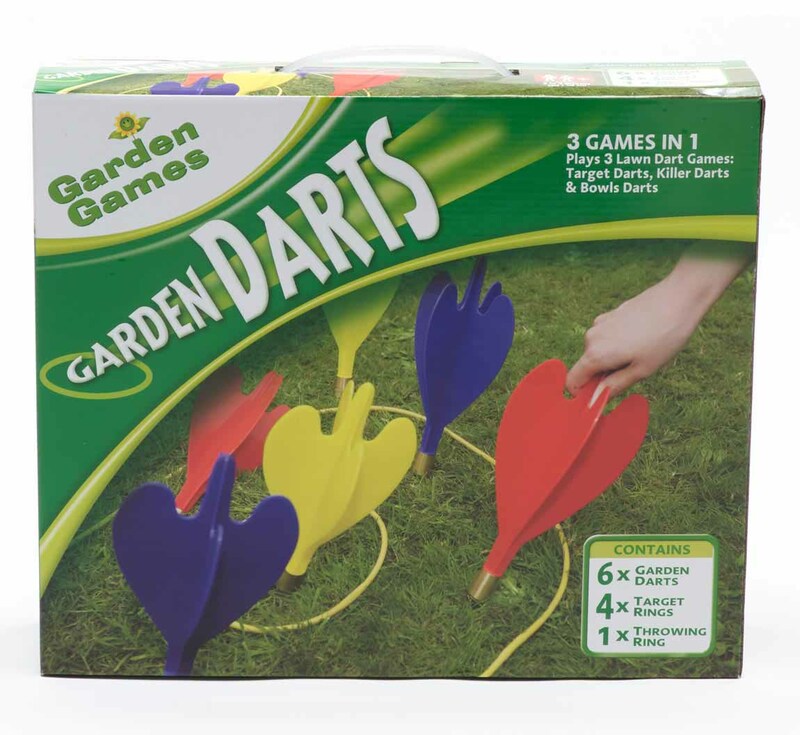 Hold the dart at the end of the flight and when you throw, the blunt metal tips will weigh the dart to fly across the garden and land in the lawn. 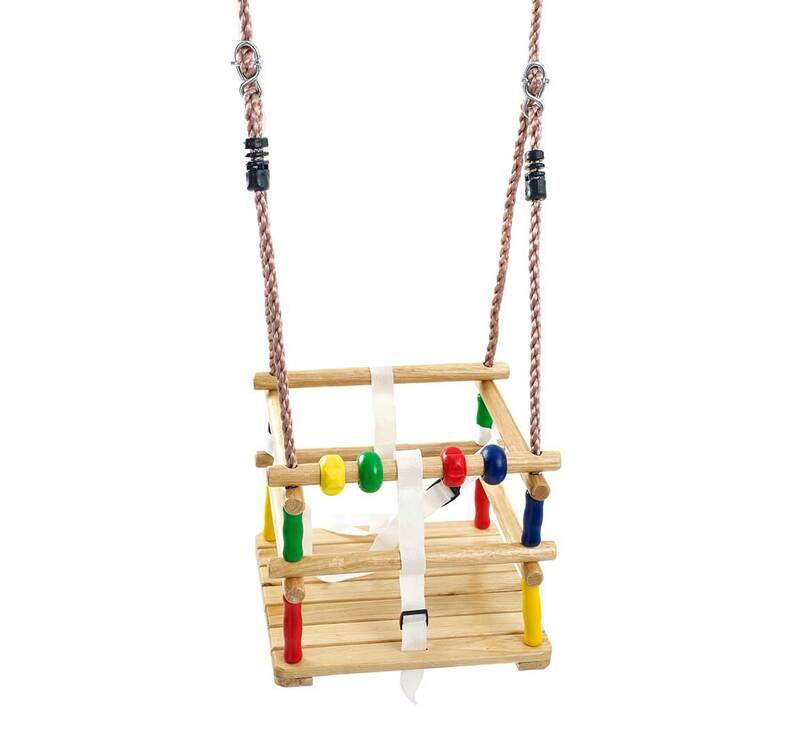 The 4 target rings make up three different games, Target Darts, Killer Darts and Bowls Darts. 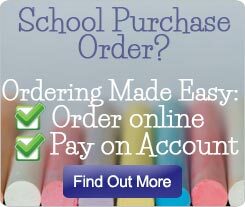 Love darts, why not supersize your game, take along to the park and family BBQ's. 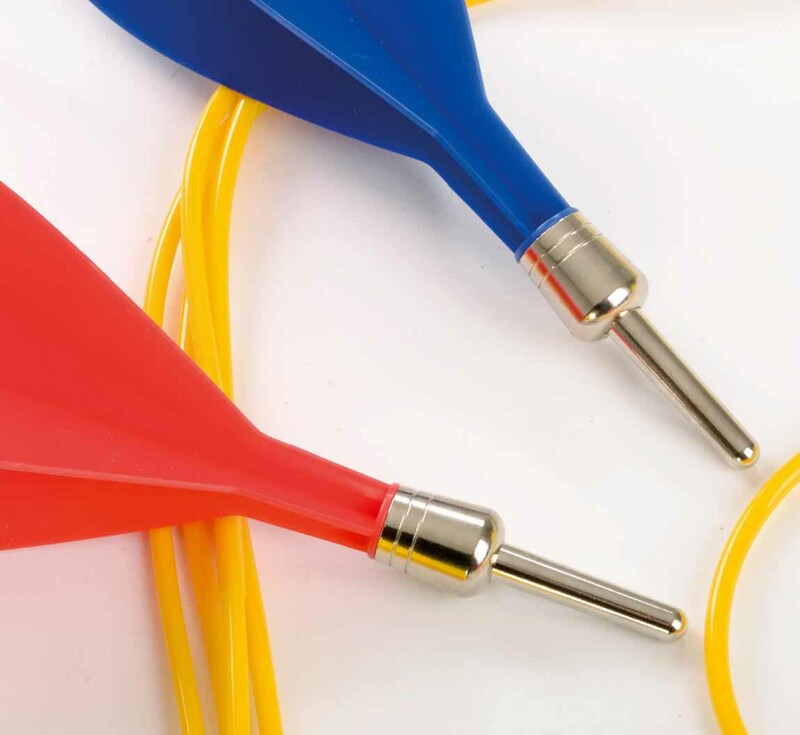 The brightly coloured flights have a tapered grip end making them easy to throw, the weighted tips will then dig into the ground where they land. 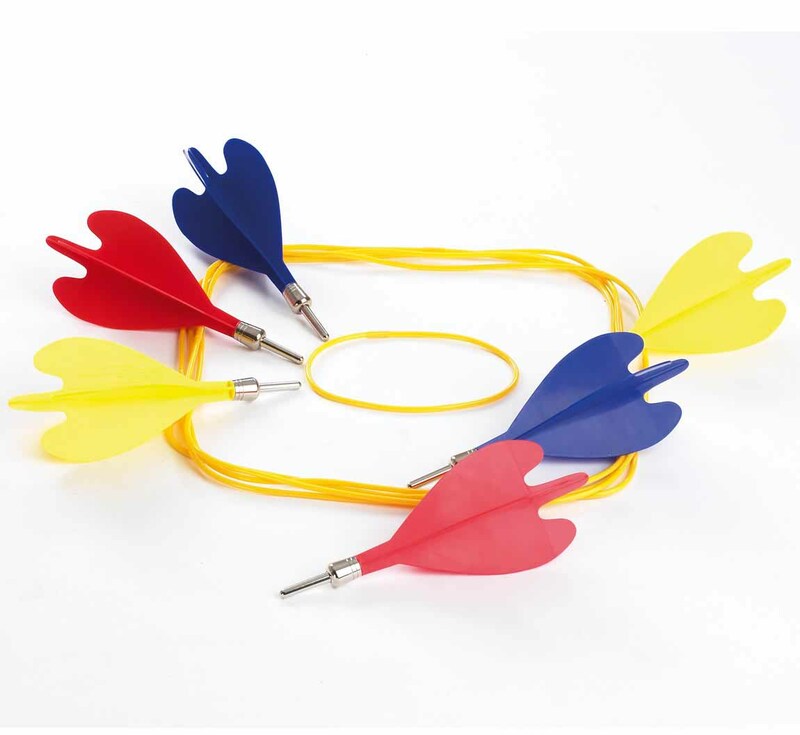 Ideal for improving hand to eye co-ordination, throw the darts underarm and try and get top scores by landing them in the markers provided.